The next generation of HVE (High Volume Evacuation) Tips has arrived! 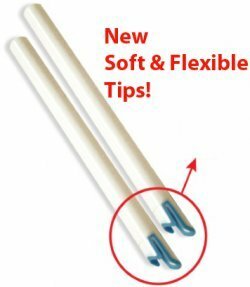 The "SOFT TOUCH", cushioned tip is designed to prevent tissue trauma of any kind. The exible yet rigid tip is gentle on soft tissue and bone allowing for safer and more ef cient evacuation of uids during dental procedures.